This is a little bit different than my usual beauty and fashion posts. I have briefly mentioned this topic here on my blog, but this will be the first time where I'm dedicating a post about it. At first, I've translated the concept of minimalism into my wardrobe simply because I liked the aesthetic. And now, minimalism is carrying over into my lifestyle. Never did I think I'd be attempting to live a more simplistic life. I am, in fact, a borderline hoarder and shopaholic. I found joy in buying things. Things that sat in my closet because it was too pretty to use. Until one day, it became a little too overwhelming for me to handle, and it started to put a damper in my life. These past few months, I've been feeling really overwhelmed and stressed out. I had no idea why. And then, I looked at my surroundings (my room specifically). How did I end up with so much stuff? My room was starting to feel small and very crowded inside. I have a pretty good size master bedroom. There shouldn't be any reason why my room should not be enough space for me. My things are slowly starting to take over my room. I knew I can't live my life like this. Something has to be done. I was starting to feel weighed down. My creativity and productivity is being affected because my things are distracting me. It's either I start the feel the need to clean or organize or I end up using up mental energy asking myself how I got to this point. I walked into Urban Outfitters one day and perused their book selections. I found this book, Do Less: A Minimalist Guide to a Simplified, Organized, and Happy Life. It's a small book and a fairly easy read, so I decided to take it home with me. I'm also really into self-help books, and I figured that reading something about simplifying my life might do me some good. I read the book. Enjoyed it. And just put it alongside my collection of books in my bookshelf. I didn't apply what I read immediately. I mainly read the book for leisure. 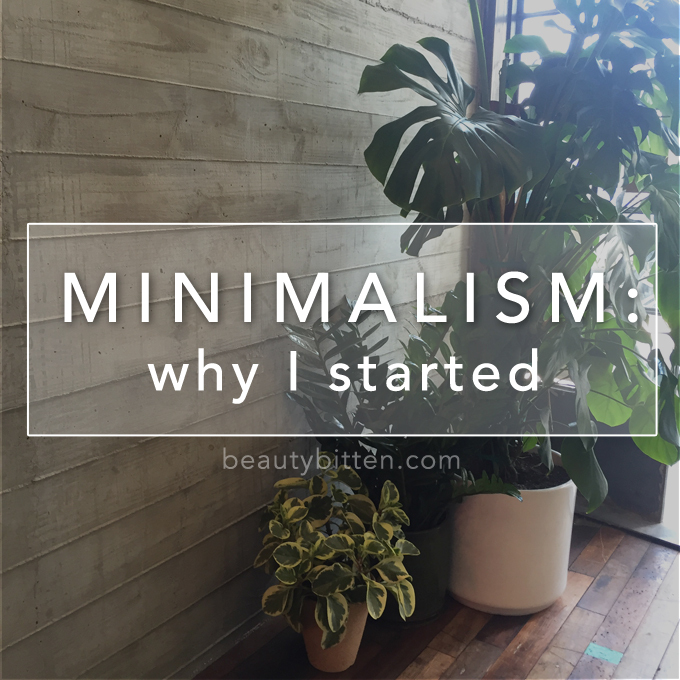 I liked the idea, but I think at the time I wasn't ready yet or didn't completely understand the benefits of having a minimalist lifestyle. But the anxiety and stress towards the amount of my possessions made me realize that something has to change. The anxiety towards my possessions started getting worse. I wanted to simplify my life. I found myself cleaning all the time which was taking time away from productive work. I started to realize that I only wanted to be surrounded by things that add value or bring joy to my life. Minimalism is a journey. Adapting the minimalist lifestyle will not happen overnight. I mean, it can if you really wanted to. But for me, I knew I have to tackle this on little by little. Getting started was probably the hardest part for me since I didn't even know where to begin. I'm glad that I'm just past that point already. This is not a race of how fast I can get rid of things. I have to enjoy the process and learn from it, so I don't go back to my old habits. Minimalism doesn't mean deprivation. Just because I'm deciding to live a more simplified life means I'm not going to buy things anymore. Minimalism is different for everyone. I'm just choosing to be a little bit more mindful on what I spend my money on or what I bring into my life. Minimalism teaches mindfulness. As I'm decluttering my possessions, it's really making me think back and evaluate my habits and impulses. Every item has been a learning lesson for me that I need to be more mindful about what I buy. Does it bring value or joy to my life? - Do Less: A Minimalist Guide to a Simplified, Organized, and Happy Life by Rachel Jonat - This was the first book I've ever read about minimalism and my starting point of the lifestyle. It gives a good overview of the lifestyle and its benefits for the curious minds. 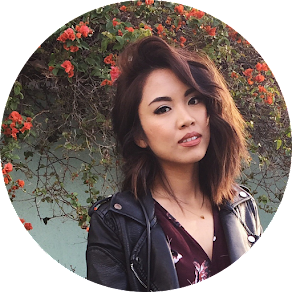 - The Life Changing Magic of Tidying Up by Marie Kondo - My ultimate guide when it comes to tackling the decluttering process. The first step to minimalism is to discard. - Youtube - There are other people who are sharing their experiences as minimalists. I like to watch their stories or experiences and learn from them. - The Minimalists Podcast - I love listening to their podcast. Ryan and Josh both came from the corporate life and decided to transform their lives through minimalism to pursue what truly brings value to their life. I like how they talk about minimalism, but they don't push the lifestyle onto anyone. Instead, they educate and lead by example, so you can decide for yourself. They're the reason why I started implementing changes into my life. I still have my work cut-out for me. I'm still in the process of decluttering my home, but I've been making progress through the categories via the KonMari way. I'm starting to notice the difference in how I feel overall and it has been a great learning lesson for me not use material things as a pacifier or something to tie my personal worth too. I'm not claiming that I'll be an extreme minimalist and be able to live my life in a van. Minimalism comes in different forms. It's different for everyone. To me, minimalism is more about being mindful. It's reducing the clutter and the things that don't bring joy or value to your life. My focus on my blog and YouTube channel will still be on beauty and fashion since these are the topics I'm truly passionate about and where I feel most creative. I know it's a little bit ironic that I'm trying to live a more minimalistic life. But like I said, minimalism is different for everyone. And my story will be from the eyes of a beauty and fashion blogger. Question: What was the most recent change that you have implemented in your life lately?